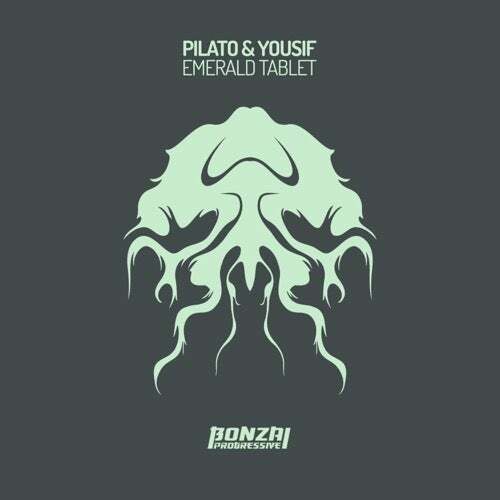 Pilato & Yousif debut here at Bonzai Progressive with the fantastic Emerald Tablet. Born and raised in South Florida, Pilato is a self-taught progressive house producer. ?Originally starting music in the techno scene, he decided his sound best lent itself to progressive house. His work has already appeared on well respected labels such as Balkan Connection, Natura Viva, and Kaleydo Beats. His passion as a DJ and perfectionist propelled him to create a unique dynamic sound that tells a story and is distinctive and rare. Yousif is a producer, mixing engineer, and DJ.? With his roots originally in techno, Yousif eventually found a passion in progressive house. With a standard of sound that pushes his own limit. He believes that audio mixing is an important skill to master to achieve a timeless sound that will be current for years to come. From his perspective producing isn't all about throwing loops into a sampler and arranging them, it's about translating your emotions and creativity into a well crafted tune. Great to have both guys on board at BP. Emerald Tablet intros with a nice, tight drums arrangement as a mesmeric pad fades up in the background. Percussions layer up evenly to bring a smooth rhythmic flow to the sound. Anticipation mounts when the short break reveals ethnically charged sounds before the pads rise and a massive, chunky bassline resonates through the groove. A deep progressive vibe follows inspired by those Eastern chants. A rich tapestry of sounds converge effortlessly to form the truly sublime trip we embark upon. Simply outstanding, a must have. Spiritual Odyssey gets moving with a nice and smooth flowing intro made up of muted kicks, a deep bass drone and hypnotic synth notes. Rhythmic percussions keep the toes tapping as the intensity rises. The track breaks to reveal a subtle plucked bassline and rising melodies which form the core of the track. After a short climax the track unleashes its main weapon, a deep, powerful bassline that rumbles beautifully on the low end. Hypnotic arpeggios come through taking us deeper and making this one a keeper for the peak time slot.